Competition in the detergent market was brewing in Thailand. Super concentrate detergent was fast becoming the prototype as of 2008. Market potential research in Thailand indicated that super concentrates would continue to grow at a healthy rate, although the detergent market had slowed. In addition, this category had already dominated other Asian markets such as Taiwan, Hong Kong.and Singapore. Consequently, Colgate entered this new line of competition with Fab Power Plus with the objective of capturing 4 percent market share. The main players in.the market were Kao Corp.’s Attack, Lever Brothers’ Breeze Ultra and Omo. and Lion Corp.’s Pao Hand Force and Pao M. Wash. Based on qualitative research and secondary data, Colgate assessed the critical factors for the success of super concentrates. Some of these factors were environmental appeal, hand washing and machine washing convenience superior cleaning abilities, optimum level of suds for hand washing, and brand name. requires a specification of the brands or stimuli to be included. The number and nature of brands selected influences the resulting solution. Input data obtained from the respondents can be related to perceptions or preferences. Perception data can be direct or derived. The direct approaches are more common in marketing research. 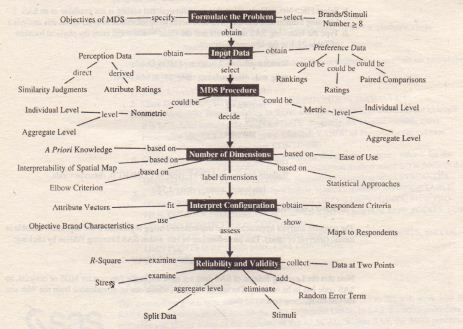 The selection of an MDS procedure depends on the nature (metric or non metric) of the input data and whether perceptions or preferences are being scaled. Another determining factor is whether the analysis will be conducted at the individual or aggregate level. The decision about the number of dimensions in which to obtain a solution should be based on theory, interpret ability, elbow criterion, and ease-of-use considerations. Labeling of the dimensions is a difficult task that requires subjective judgment. Several guidelines are available for assessing the reliability and validity of MDS solutions. Preference data: can be subjected to either internal or external analysis. 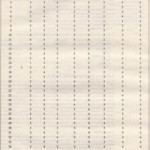 If the input data are of a qualitative nature, they can be analyzed via correspondence analysis. If the attribute-based approaches are used to obtain input data, spatial maps can also be obtained by means of factor or discriminant analysis . Conjoint analysis is based on the notion that the relative importance that consumers attach to salient attributes, and the utilities they attach to the levels of attributes, can be determined when consumers evaluate brand profiles that are constructed using these attributes and their levels. 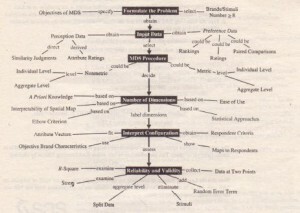 Figure 21.14 gives a concept map for conjoint analysis. Formulating the problem requires an identification of the salient attributes and their levels. The pairwise and the full-profile approaches are commonly employed for constructing the stimuli. Statistical designs are available for reducing the number of stimuli in the evaluation task. The input data can be either nonmetric (rankings) or metric (ratings). Typically, the dependent variable is preference or intention to buy. Although other procedures are available for analyzing conjoint analysis data, regression using dummy variables is becoming increasingly important. Interpretation of the results requires an examination of the part-worth functions and relative importance weights. Several procedures are available for assessing the reliability and validity of conjoint analysis results.